Fairburn Course V910A – Please see course Description and Maps tab for details. Open Event, all welcome. Riders must be a member of a Cycling Time Trials (CTT) affiliated club (Seacroft are affiliated). 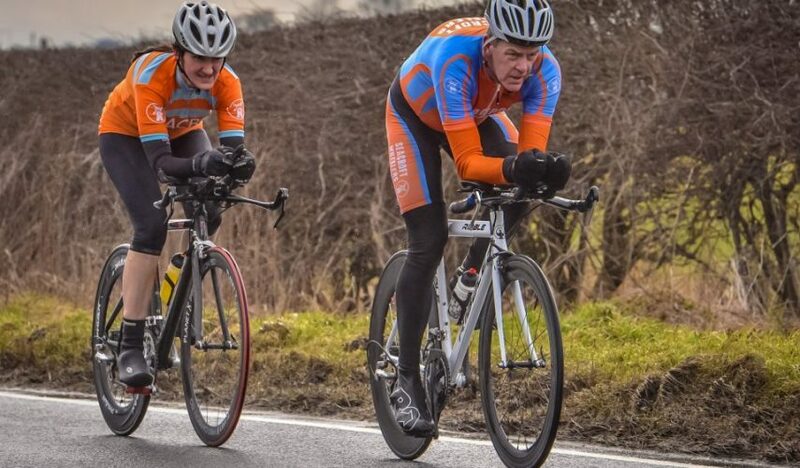 The Seacroft Wheelers 10 mile 2-up time trial is a time trial for teams of 2 who will race together with a time based on the slowest rider, encouraging riders to stick together and work as a team. The clock will stop when the slowest rider of the team crosses the finish line. However, if you don’t have a partner to race with you are more than welcome to ride this event as a solo. If you have not ridden a time trial before and would like to have a go then the evening league or the club evening time trials are ideal for you to try, to see if you like it. Entry Fees £4 senior members, £3 under 16s. Under 18s must supply a signed CTT club events parental consent form – (one form covers all season). Please arrive and be ready to pay and collect your number. There is a maximum of 40 riders (20 teams) and it’s on a first come first served basis. Please note last signing on time will be 6.45pm. This helps organisers plan better but more importantly gives you the chance to warm up. Once you have collected your number this needs to be displayed on your back towards the left hand side. All riders are pushed off at two minute intervals and given a time for the distance rode. It is helpful for the marshals if you shout out your number as you cross the finish line. It is strongly advised that all competitors use lights at all times of day and in all conditions. Be safe out there!